New motor fitted and working. The take up tension is a lot lighter with this motor. So far so good, a test scan looks good. new motor fitted, next to add some grease. Thank you for your update! Good luck with the new rugged motor. It's been a long slog with this motor, This is motor number 4, the original factory fitted, a new one from wolverine california, then another new motor from california, then a take up assembly from california, then a third gen motor from china. As much as I am annoyed, I have to take my hat of to wainait and wolvering in Ca. I have had amazing customer support. If this is the motor in the 400ft reel wolverine, then hopefully they will have a good lifetime of scanning. Great to hear about your excellent customer experience with both Wainait and Wolverine in Ca. I sincerely hope that your issues are all left behind in the past. Many happy scans in the future! HI Gian. It's good to have you in the Wolverine thread, welcome to you. Your blog is most interesting. Your meticulous observations are pleasant to read and I agree with everything you say. I see you have first generation with the O ring take up. A lot of folk have had problems with this machine. There is a video at youtube of this version, overheating. Link to Bob's video at the bottom of my post. Thanks for the link to your blog, I shall continue to read it with interest. Your point about not using the wolverine for rewinding is something I concur. I use my projector to rewind, I get a better wind, and less stress on the scanner, which can not rewind very well. Sorry Mike you misunderstood my post: that is not my blog, I just found it over the web and wished to share the informations thereby. Anyway I'm glad to announce that me too will soon become a presumably happy owner of a Wolverine r2d mm, provided 1) the package which is coming tomorrow will not be broken, nor 2) the device inside it is broken and does not go clickety clackety and does not melt its rubber belts! Great blog Gian! Thanks for sharing. Gian Michele Soddu Ah yes, I mis read your post. None the less, thank you for finding and sharing it. Good luck with your scanner, please keep us up to date with how you get along with it, or any problems that arise in the coming weeks. If you post any video online, it would be good to see clips, or if you need help or advice, be sure to come and ask us. Good luck and fingers crossed you have a good scanner! An update on my scanning work. I took the front cover off, hoping to mess with the focus, but it seems my lens has been sealed with what can best be described as super glue. A transparent substance that is very tightly glued up. 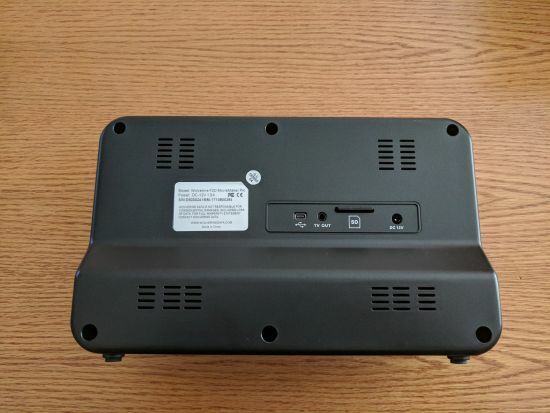 I am afraid that if I take pliers to it, I may damge the camera or crack the plastic, so the front cover will go back on, and I will live with the factory set focus for the time being. The films I have scanned don't look too bad to me, I watch my content online, not on a 50" tv set, So I am happy. Being able to share my Royal Navy clips with other Navy folk from the 70's is quite remarkable. Some footage has never been seen by anyone other than me and my Mum when she was alive. Social media and YouTube are a godsend for sharing content. Mike, thank you very much for your friendly welcome. It was my post to be somewhat misleading, and I apologise for having been unpolite. Sorry. Good news: my Wolverine Reels2Digital Moviemaker arrived in the morning. Bad news: I had to pay 92 Euros more because of Italian import taxes from the USA. Since the device cost 300 Euros (shipping included, from Adorama), the taxes amount to almost 1/4 of the whole price! Italian buyers be aware! Item to be unboxed in the weekend, stay tuned! Bye! 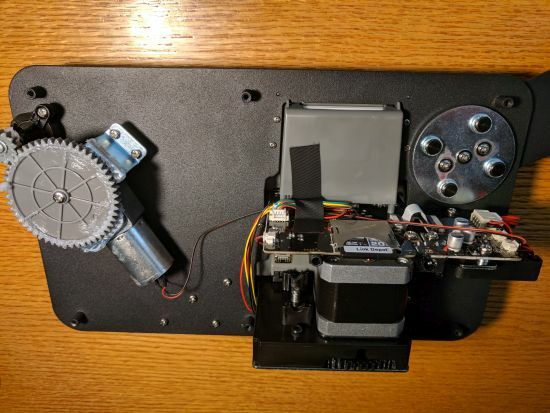 Hi, I'm been following this thread for a few months, after I found it while searching for a way to digitize my old Super8 home movies from the 80s, less expensively and safer than sending them to Costco. My goal is to archive precious memories for my children and grandchildren, in a format that they will actually use. 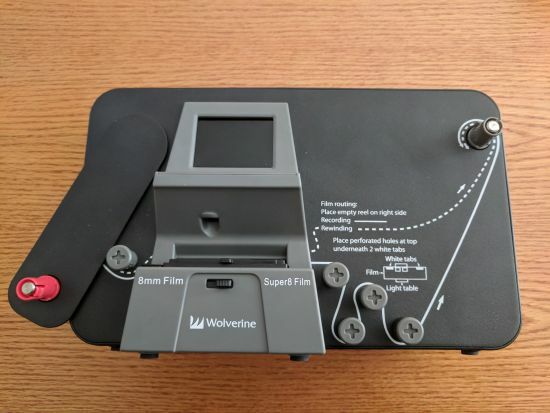 I've read with interest the problems with the MovieMaker and the improvements Wolverine Data has made over the last few months, apparently in response to customers on this forum and elsewhere. 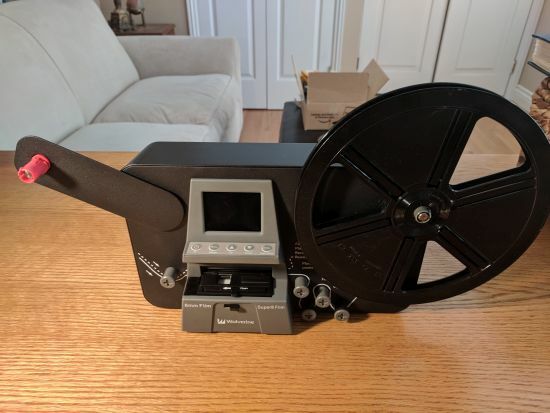 I was planning to buy one late this year (when I could actually get to the digitization project), planning on getting one of the later model improved MovieMaker. But then I saw the post about the MovieMaker Pro, hopefully with the better components and with the 9" reel capacity. (I have several 7" reels). So I ordered ($379 after coupon, plus sales tax) and it arrived a couple of days ago. 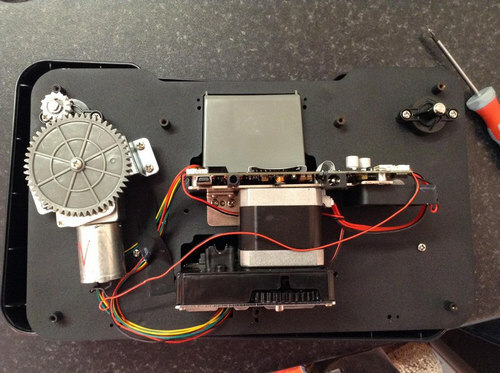 This post is to show what the external AND internal components are for those of you interested. Firmware version is reported to be 21070803-ZS06. So it appears that they have actually changed the frame rate! And my initial impression from my first video is that the new rate is close to the 18 frames per second my Minolta camera used when taking that video. When I get some videos scanned, I'll try to upload to youtube. Thank you to the 8mmm forum members who have pioneered this little gadget! Hi Bob & Chris! A very warm welcome to the forum and thank you for sharing the info's about your all new W-PRO. Much appreciated! As for the framerate, they have obviously went for the in between route for both the 18fps and 24fps - most common - framrates so users don't nessecarely need to adjust, when viewing the output OOTB! Enjoy your new scanner and I hope you'll share some footage very soon! I've edited my original post to correct the name of the film editing program I'm trying. It is Shotcut (not Shotgun). I have also noticed that the Pro has 4 film path guide spindles before the take up reel, vs 3 on the original model. Maybe to adjust for larger reels, or reduce take up tension? In any case, my films so far are all feeding smoothly, although I've only used 3" and 5" full reels, and nothing with splices yet. Title: "A sad story of rashness"
As I stated, two weekends ago, in a warm Sardinian sunny afternoon, surrounded by green leaves in the terrace above our garden, I happily unboxed my (expensive) Wolverine Reels2Digital Moviemaker 720p and, soon after, tested it, scanning a 5" reel Mickey Mouse colour cartoon and showing it on a 22" tv-set. The images where beyond my expectations and I was very happy and satisfied, even though I noticed it was a (very little) bit out of focus. With my smartphone I shoot a movie of the unboxing and of the testing operations, willing to show them on my YouTube channel. By a fault of some sort the smartphone lost every image of the operations and I couldn't recovery any of them, even spending hours with special recovery tools for Android. In the previous days, the technical assistance staff at Wolverine kindly sent me a copy of firmware, which I asked them "for safety reasons". I also asked them what did they think about the possibility of testing on my 720p machine a firmware which could be downloaded from Somikon.de and was intended for their 1080p machine, which seemed equivalent to Wolverine's. They warned me that it could be a dangerous action, because the hardwares were different. Even so, in ditto weekend, after having unlocked the lens, I decided that it was also worth the effort to make some "firmware improvements", to put the machine at its maximum, before starting to copy, once and for all, my family's movies. First thing first, I put an empty file named "engmode" in the SDHC card, fancying to access to a secret menu of options to fine tune the hardware. The machine returned a long error message and nothing else happened. I substituted engmode with the firmware file which was given to me by Wolverine's staff, and the machine seemed to start normally as before. At this point, I noticed that the version of this firmware was older than the original in the machine. The machine started with the Somikon's logo, then I noticed that the menu was a little richer: more languages, even Italian, and a counter of the duration of the scanning, which also took into account whether the reel was 3, 5, or 7". The Somicon or the New Wolverine Pro? I will save some of the videos I have completed using the Wolverines (or at least portions) to YouTube and post the URL's, so folks can see. 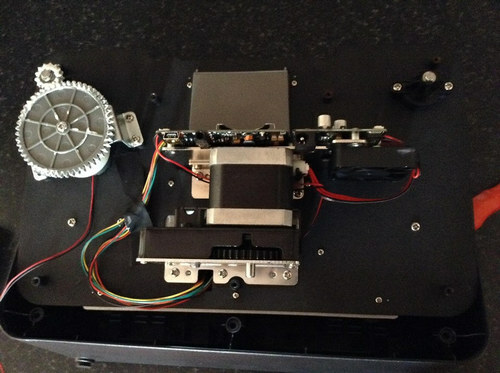 I will also post videos from the Workprinter and Cinemate so that folks can compare for themselves. My God; It's Full Of Stars! Gian I didn't think for one minute that you had been impolite. not at all my friend. Bob Russell Thank you very much for your photos of the pro wolverine. Most interesting to see inside, and oh look, there is the third generation motor Richard at winait sent me! Really very kind of you to open up your pro and let us see inside, so very many thanks for those photos. If I credit the photos to you I hope you won't mind me using them in my closed facebook group to show my friends how it looks inside. This thread really is becoming the history of the Wolverine. For framerate corrections... it takes a few seconds to demux a file in MyMP4box GUI mentioned further back in this thread, with a complete explanation of how to choose your own framerate. Another alternative in video edit is to slow the film to a suitable speed, as long as the film is exported in equal quality or a little higher, I don't have a problem with that method. I always keep the original scans to go back to if I need a fresh edit or copy. There is no re encoding in MyMP4Box, just framerate change, to any frame rate you choose. Personally I like my standard 8 films at 15fps. Gary Schreffler wow, you have had some luck! I agree witih you about the firmware, I won't be going there, but I do wish I can mess with the focus, but I don't want to damage the lens, or camera module soldered to the circuit board, by trying to remove the sealant on my lens. Mike Spice, feel free to use those photos, and no need to give me credit. I'm happy they are useful to you and others, since everyone on this thread inspired me to look into the Wolverine, and I was very fortunate that the Pro came out just before I was going to pull the trigger on purchasing the original version. Gary Schreffler, I agree with you on trying to change firmware, unless there is a documented process from the manufacturer for doing so. (as is common with wifi routers). That said, I think there is a possibility that the firmware in the Pro would be compatible, since the manual's limited description of the chip in the two machines is identical. That is a great example of what can be done with handheld Super 8mm cameras. Bob Russell: Yes, I have seen that video, and it is very comparable to the work I do (I convert those old films for fellow veterans free of charge). I also served on USS Midway, 1984-1991. I was an air crewman and rescue swimmer, flying in the mighty SH-3H Seaking (crewed by heroes of all men, lovers of all women...!). I have a few clips on YouTube (I just copied the URL from my cell, so no clue if have to do something special to view on a computer). The links below are from the USS Lake Champlain (CVA-39), circa 1954/55 and 1961. Also, another film listed by another user (CHAMPCV39) is work I did for a veteran. It's the last link. How nice to know we have some navy vets saving movies. I went to the Royal navy right from school, in 1974, as a cook. I served 12 years, I saw active service in 82 down in the Falkland islands. My earlier navy days are on 8mm, if you like that sort of thing, aircarft carriers and flying, here is my playlist of 8mm. Where in the USA can I buy the PRO version of the Wolverine? 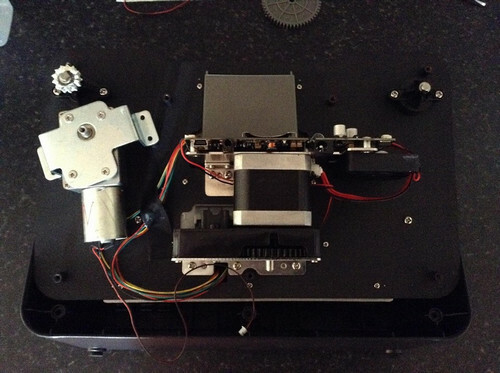 I have an old model with the direct drive motor and vented. Only used a few times. if anyone is interested in buying it for $225, contact me.